Accessorize any outfit with the Crhistian Audigier Meredith Shoulder Bag in Leopard print. It is from the San Remo collection. 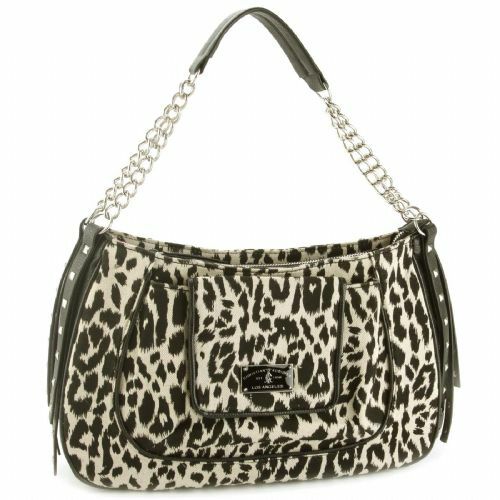 It features animal print and silver pyramid studs, front flapover pocket with magnetic snap closure, zippered closure, handle with metal chain detail, and interior zippered on open pockets.